The 10-year Treasury yield continued its upward trend, rising 7 basis points this week. 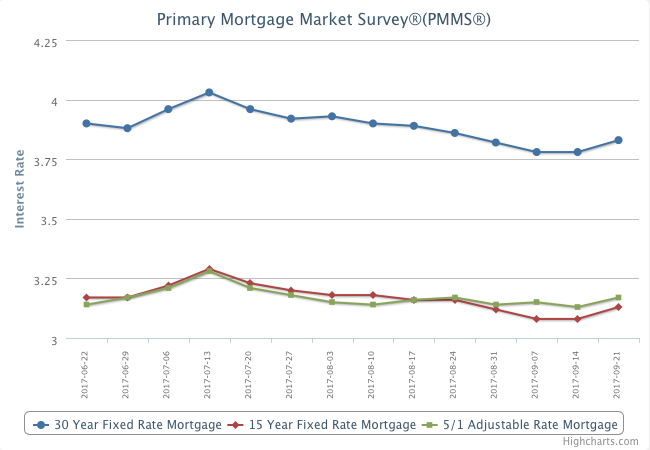 As Freddie Mac expected, the 30-year mortgage rate followed suit, increasing 5 basis points to 3.83 percent. This week’s uptick in the 30-year mortgage rate ends a nearly two-month streak of declines.